Homework assignment from Lucy’s. Painting a promengrante. 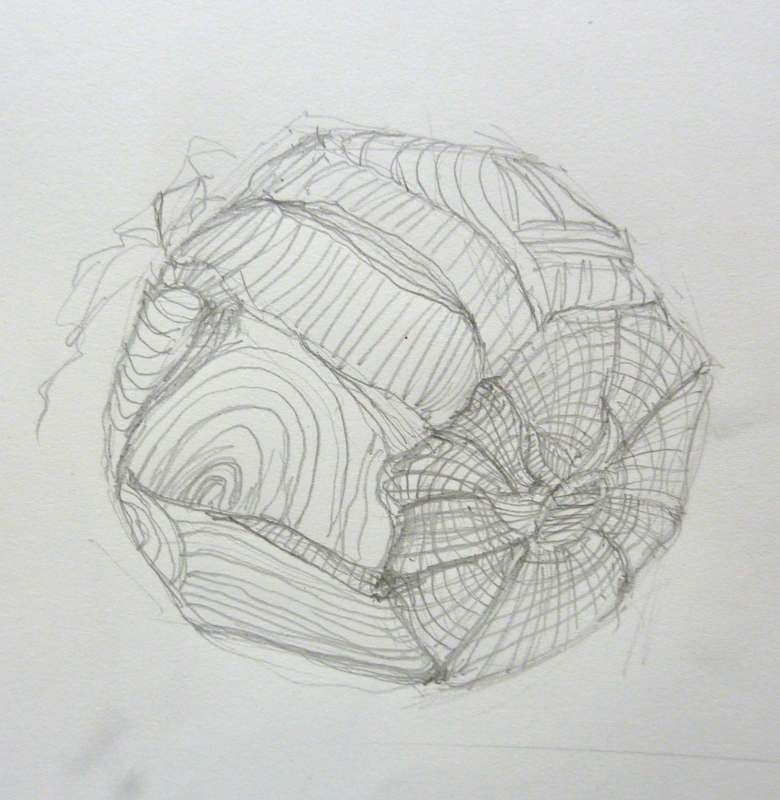 Before starting the promengranate, I study the fruit by drawing contour lines to define the shapes and the planes. Then the set up. 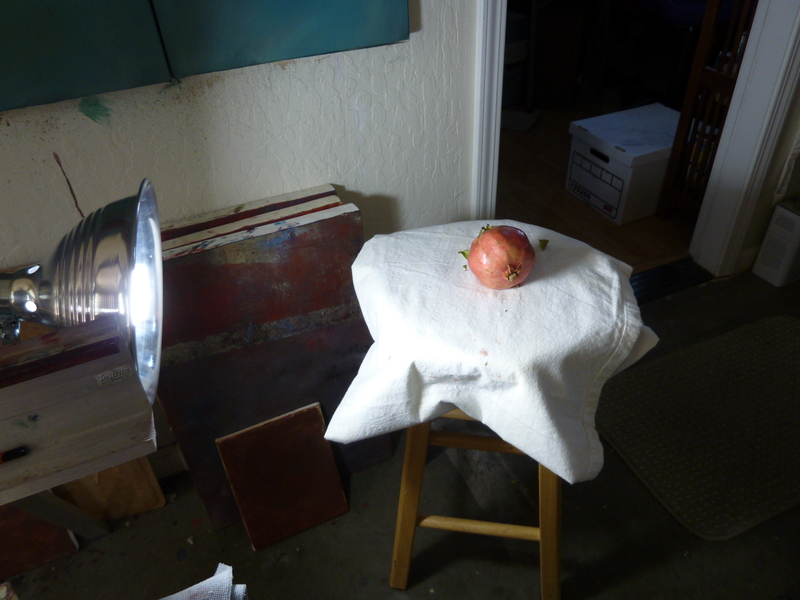 Daylight or rather a full spectrum light bulb was used on the left of the fruit. The light from the right came from the sky through the upper office window. 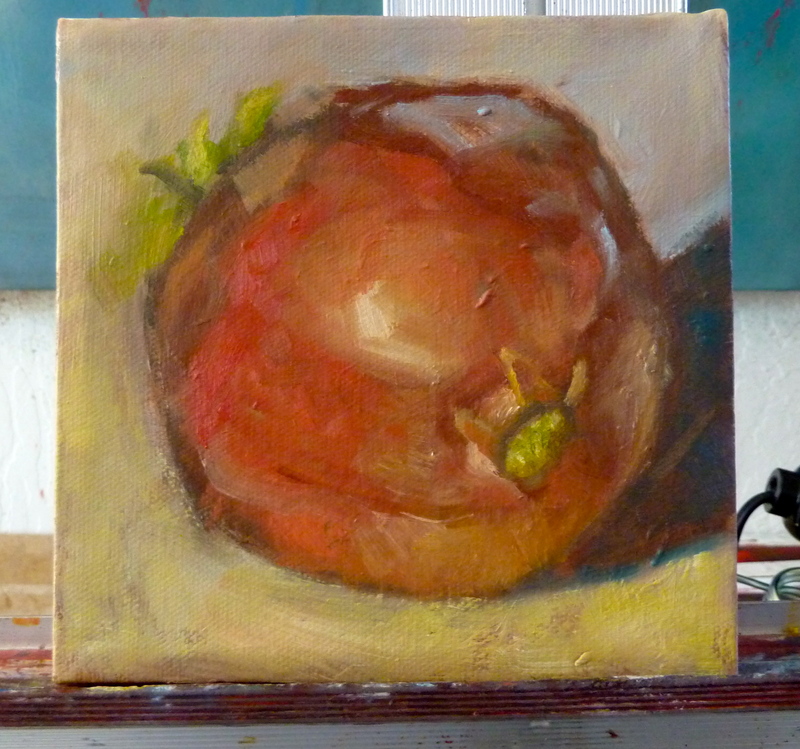 I did not have to worry about a background, since the lights took care what I needed to paint. This painting is close to being done. I tried to pay attention to the paint strokes following the cross contour lines of the shape. I also focus on the color of the lighting. The highlight appeared to me to be light yellow and the reflected light of cool blue.